Most people are often so busy that they tend to not stop and think about the way they live their lives and their impact on the bigger picture. Our society blinds us from what really goes on in the background to keep everything functioning and to make everything seem like there isn’t a care in the world. As every holiday comes around the retail shops fill their shelves with holiday-merchandise for people to buy and take home. This consumer-driven mentality is not a sustainable management of our resources and leads to serious environmental issues. The population growth and economic growth of the last century was coupled to significant growth in consumption and extraction of natural resources, steering the world towards negative and damaging environmental impacts. The main argument of a report titled DeCoupling: Natural Resource Use and Environmental Impacts From Economic Growth, is that in the last two decades GDP has grown while not as much resources were required for growth as in the past. Therefore, United Nations Environment Programme (UNEP) argues that furthering the decoupling process from natural resources and economic growth is essential to the future well being of the human race. A crucial conclusion from the UNEP report is that a full decoupling is possible and is already happening. However, education and awareness programs need to be in full swing in order maintain the current level of resource extraction for future generations. Recycling programs around the world are essential to maintain a stable supply of resources for the future. 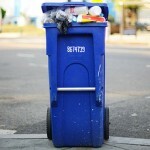 A Better Service are waste removal specialists who are just one example of companies providing this great service for our waste management needs. For example, paper is a renewable resource, but there is no reason why old growth forests and rain forests should be clear cut to process into paper. Trees for paper in new growth forests usually have a growth cycle of 20-years. Once an old growth forest is cut down, it is unlikely that we will ever see trees get that large or old again. That is why it is important for people to support the recycling of paper by recycling all paper possible, and by purchasing recycled paper (even recycled toilet paper or paper towels). There is also a push for people to up-cycle and to fix everyday appliances rather than buying new. The world population is steadily increasing (more than 7 billion people now) and the issue of how they will all be fed is a controversial one. The world is quickly being depleted of non-renewable resources that our current farming methods happen to depend on. Those resources are oil, natural gas, ground water, potassium and phosphorous. The United Nations reported that it predicts population will peek at one third of todays population to around 9.5 billion people. With very little available farmland left to grow food for these additional mouths to feed, many wonder how we will sustain our normal way of life without a breakdown in society. With well documented environmental issues such as desertification, deforestation, and increasing urbanization, available land to grow crops for food is increasing everyday. 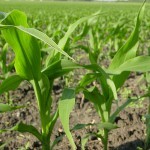 Agricultural scientists believe that it may be possible to feed the added population numbers by normal yield increases in crops. However, yields are not increasing as much they use to, and if climate change results in wild and freaky weather, yields could go down and food shortages could run amok. 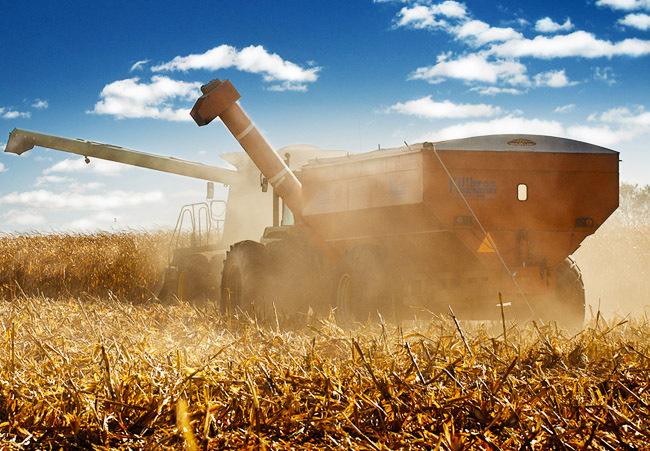 Bio-tech giants argue that genetically modified (GM) crops could be an answer to the dilema of reduced farmland and increased pressure for food despite the fact that the Union of Concerned Scientists have found no real impact on increased yields. 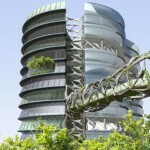 Another answer to a possible food crisis would be vertical farms. 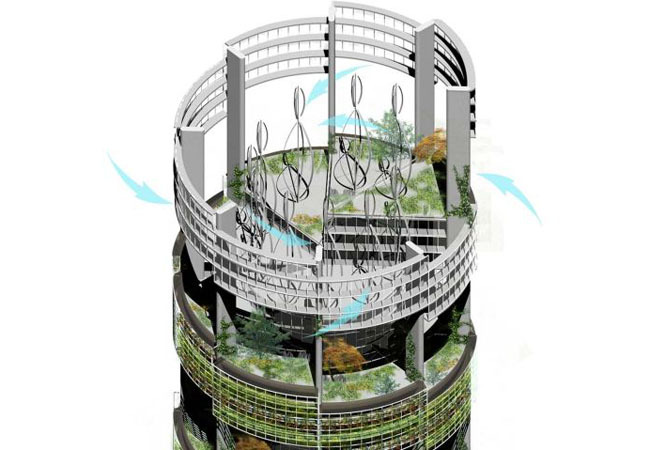 A concept that emerged from Dr. Dickson Despommier, the vertical farm aims to solve a food shortage problem before the year 2050 if current farming methods are continued. 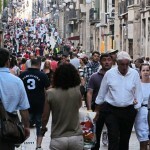 Almost 80% of all of inhabitant of earth will live in urban centers by the year 2050. With the projected increase of the population, an estimated 20% more land (an area the size of Brazil) will be needed to grow and feed enough food for everyone if farming methods stay the same as they are now. As of now, 80% of the worlds arable land is already being used for growing crops, be it for humans or for livestock. Simply put, we don’t have enough land to feed the projected population in the coming decades. Vertical Farming is essentially growing food indoors in a large skyscraper type greenhouse building located in city centers. Why? So food doesn’t have to travel thousands of miles to get to its destination. Farming indoors has its benefits such as being in a controlled environment so it will not be susceptible to crazy weather patterns. Farming indoors also has the benefit of not needing pesticides or insecticides because all crops will be grown indoors. Farming indoors is definitely now a new concept. Many permaculture type folks and people with big backyards or plots of land plant hothouse tomatoes in a homemade greenhouse or in even in the kitchen. What we need now is a plan to convince government or private investors that there is value in building vertical farms for food security in the future. Vertical farming could provide well paid jobs for cutting edge research and technology. It could also benefit cities with urban renewal, repair of nearby farmlands, and year-round crop productions. In this day it is important that we realize all the importance of sustainable food practices, of buying local, and of recycling and re-using. All of these practices are more important than ever as our future generations will depend our actions today. There is no one solution here, rather, it will take a varied approach, little changes in all aspects of our lives. Are you ready? You can start by taking The Environmental Blog’s 7 Day Green Challenge.